President Muhammadu Buhari will not take issue with former President Olusegun Obasanjo over his comment that Buhari’s government has failed. The Special Adviser to the President on Media and Publicity, Femi Adesina, said this in an interview on Channels Television. The presidential spokesman, however, said since Obasanjo did not say anything different from what was contained in a letter he released on the administration recently, the response provided by the Federal Government then is still relevant. 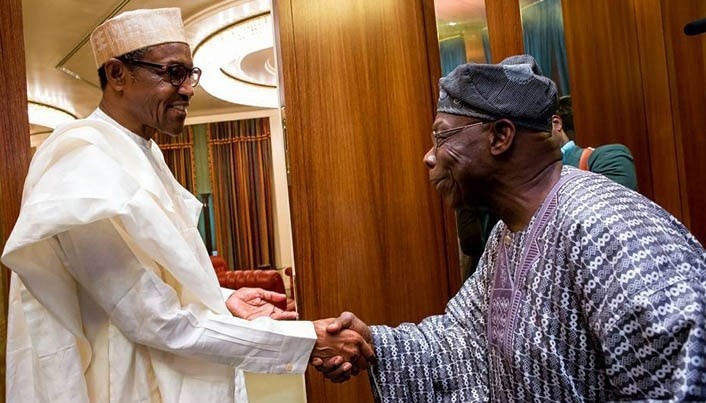 “President Muhammadu Buhari will not take issue with former President Olusegun Obasanjo. One, President Obasanjo was his superior in the military. “Two, what President Obasanjo has just said is not different from what he said in his letter of January 23; and adequate response was given to that letter by the Minister of Information, Lai Mohammed.